When Arthur Giovanni considered manufacturing his own hair care range, he wondered if he could create products with a base consisting of natural proteins, vitamins, minerals, herbs and nutrients, because he firmly believed that these products would be much better for the hair than the conventional chemically-based products. His eco chic hair and body care range does exactly that. Ideal for use on any type of hair, this styling wax separates, defines, softens and holds – everything you could want from a wax, with no chemicals and no animal testing. Aqua (Purified Water), Glycerin, PEG 40-Hydrogenated Castor Oil, C12-15 Alkyl Benzoate, Steareth 20, Guar Hydroxypropyltrimonium Chloride, PVP, Mica, Titanium Dioxide, Simmondsia Chinensis (Jojoba) Seed Oil, Panthenol (Pro-Vitamin B-5), ÿSodium Hydroxide, Polysorbate 20, Phenoxyethanol, Dehydroacetic Acid, Benzyl Alcohol, Annatto, *Argania Spinosa (Argan) Kernel Oil, Hydrolyzed Paullinia Cupana (Brazilian Cocoa) Keratin Extract [Phyto-Keratin], *Aloe Barbadensis (Aloe Vera) Leaf Juice, *Aspalathus Linearis (Rooibos Tea) Extract, *Cocos Nucifera (Coconut) Oil, *Macadamia Ternifolia (Macadamia) Seed Extract, *Butyrospermum Parkii (Shea Butter) Extract, Natural Fragrance. 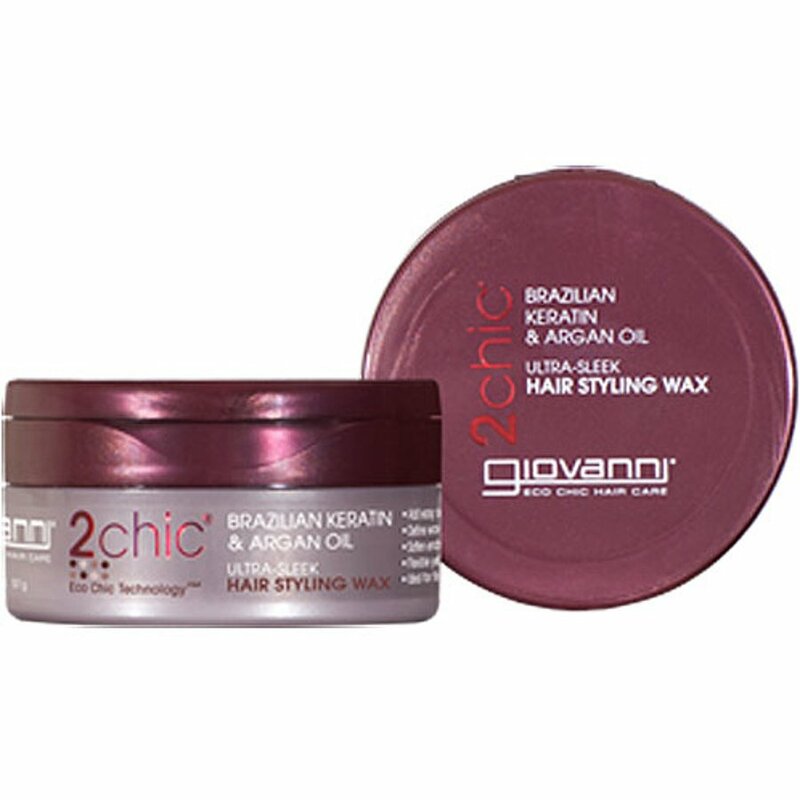 The Giovanni Ultra-Sleek Hair Styling Wax - 57g product ethics are indicated below. To learn more about these product ethics and to see related products, follow the links below. I was pleased to get a styling wax with natural ingredients from an ethical provider. I use it on dry hair, for definition and separation, and for maintaining the style. I have fine hair and it was OK, not weighing the hair down as some products do. You only need to use very little. 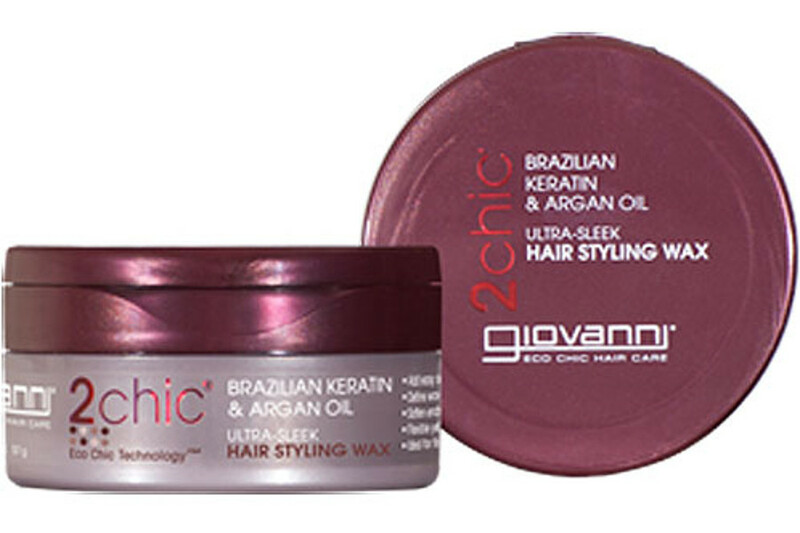 There are currently no questions to display about Giovanni Ultra-Sleek Hair Styling Wax - 57g.